This is the perfect fall soup. I’ve never really been a “soup” person, not because I don’t like it, I honestly just FORGET about it. Plus, I was always intimidated to make soup from scratch. It seemed like too much work, and ya’ll know that is NOT my style. Thanks to the New School of Cooking and Chef Jess Hilton, they taught me to quit whining and just try it. So I did, and I now laugh at myself, wondering what the big, damn deal was. It’s so easy and comforting to know there’s no hidden crap in it, because I made it. 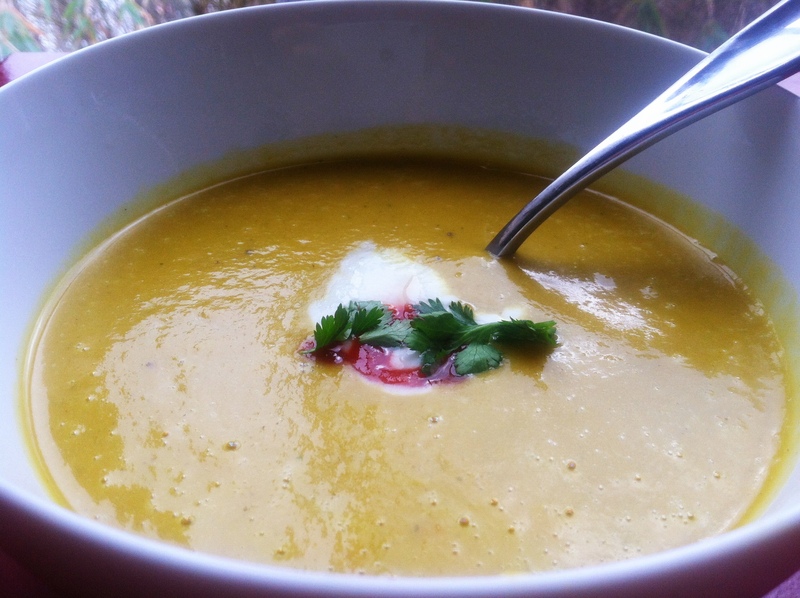 This recipe is from the Healthy Cooking Class series. 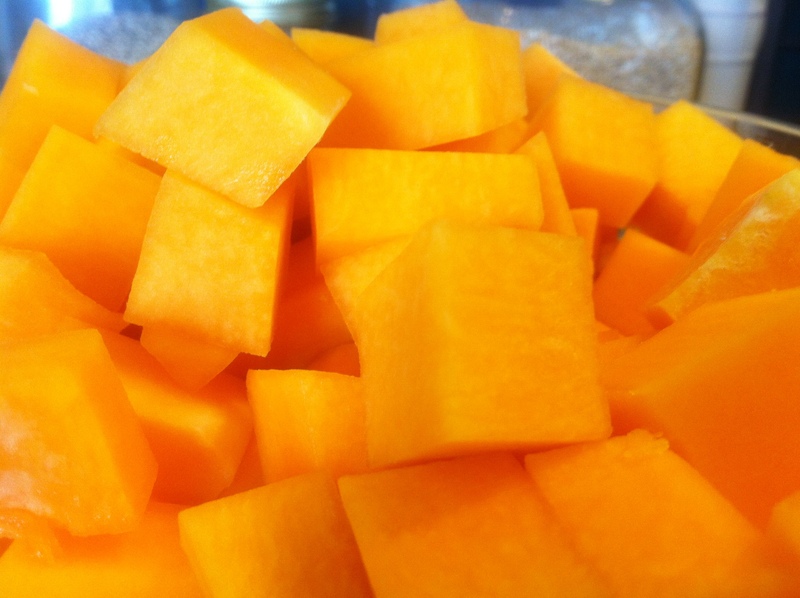 The hardest part of this particular recipe is peeling and chopping the squash. 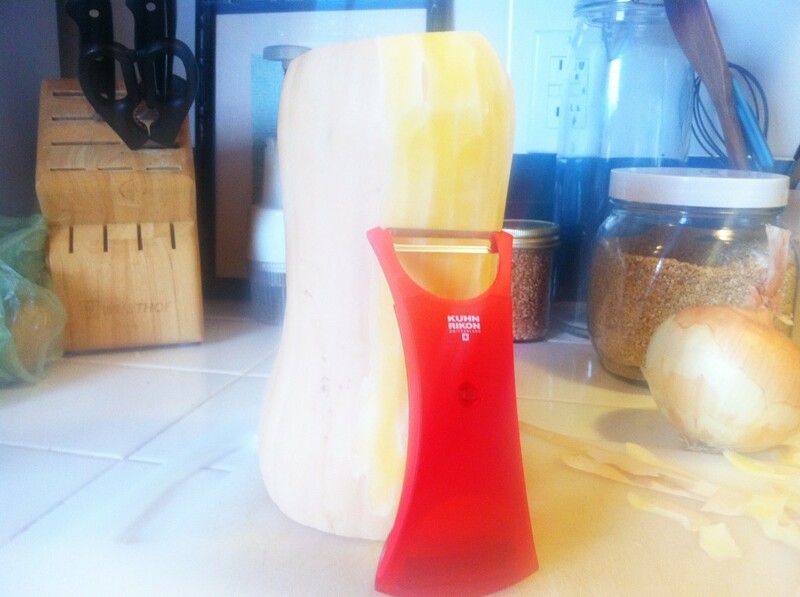 If I were you, I’d click HERE for easy instructions on how to master this beast of a squash. I do recommend this Kuhn Rikon peeler though. You can get it at any kitchen store, and it’s super sharp, which you’ll need to tackle that tough skin. This one is a 2 for 1—straight blade & julienne. Once peeled, chop into cubes. In a large saucepan, heat the coconut oil. 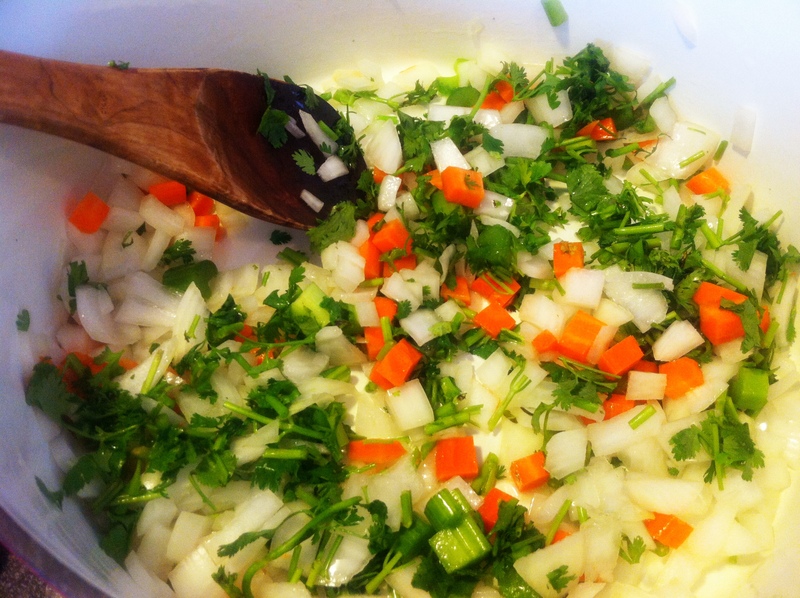 Add the onion, celery, and the stems of the cilantro (I still had some cilantro leaves in there, but it was fine). Cook over medium-low heat until the vegetables are soft but not browned (this took almost an hour for me, but I would just check back periodically). 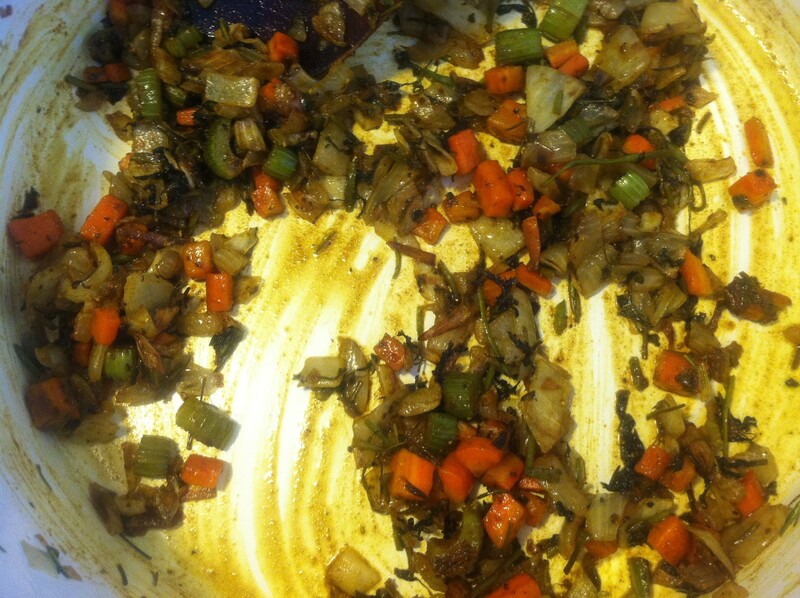 Add the curry powder and stir to coat the vegetables. 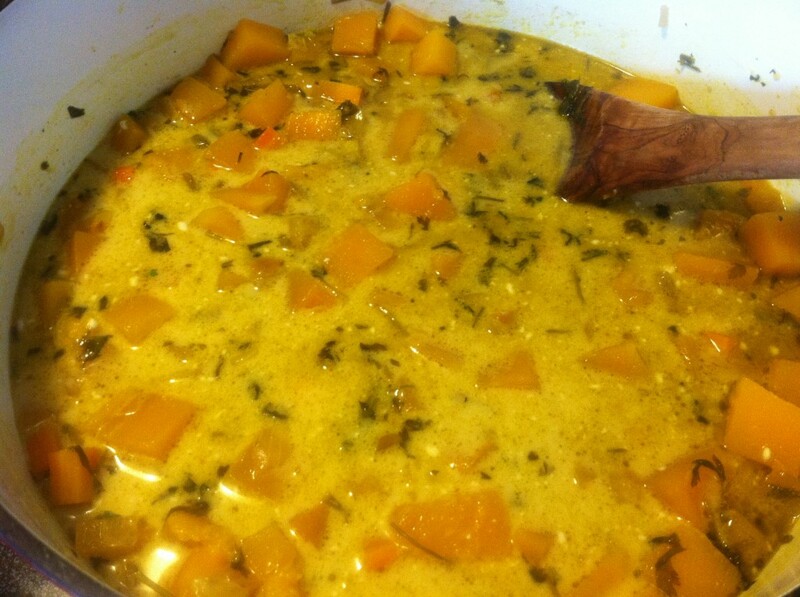 Add the squash and 1 quart of water (4 cups). Bring to a boil and then lower heat. 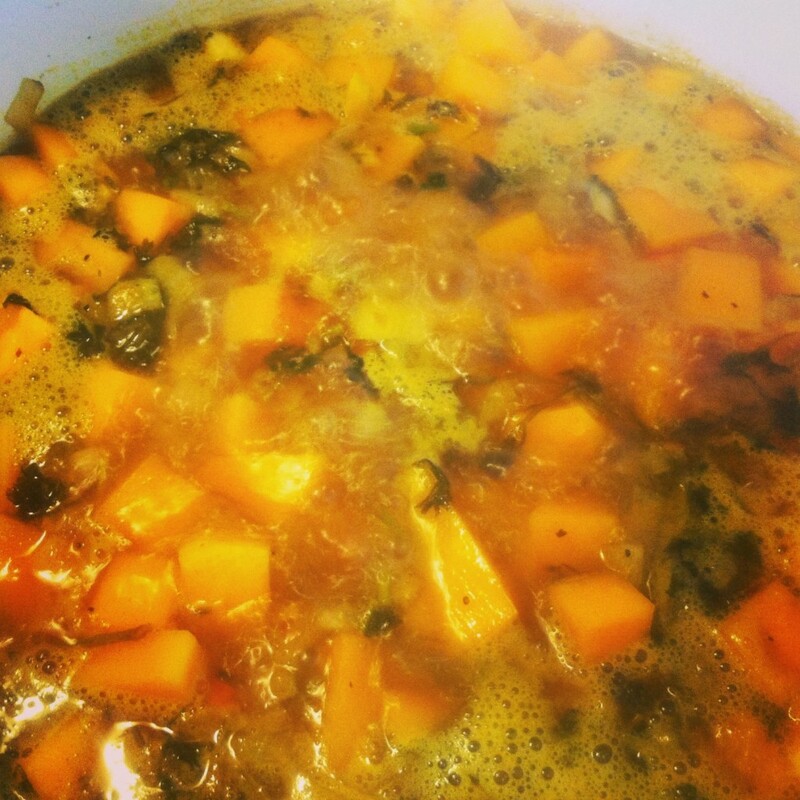 Simmer until the squash is soft when pierced with a fork. Add coconut milk to the pan and puree (in a blender or hand blender–you’ll have to do 2 batches if you’re using a regular blender). Add more water as needed for consistency. Serve with a swirl of yogurt and a swirl of hot sauce, top with cilantro.